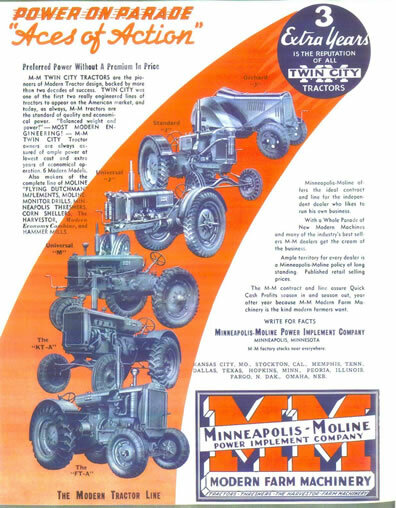 Minneapolis Moline Power Implement Company was formed in the 1929 consolidation of three past manufacturers. “Merge or quit”was a clear message sent by the turbulent economy. 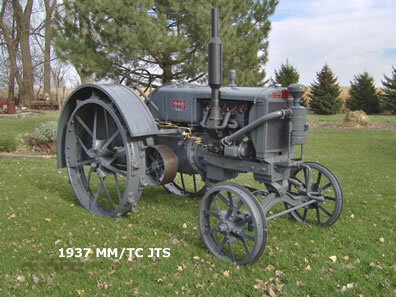 Minneapolis Moline was able to survive the financial embarrassments of the early 1930s on the products manufactured by Minneapolis threshing Machine Company, Moline Plow Company, and Minneapolis Steel & Machinery Company. The Twin City tractor line made by MS&MC since 1910 would be sold by MM from 1929 through 1938. Twin City tractors had earned a sound reputation for thirty years. MM was cautious not to change the Twin City name too fast for fear of scaring off faithful customers of these machines. 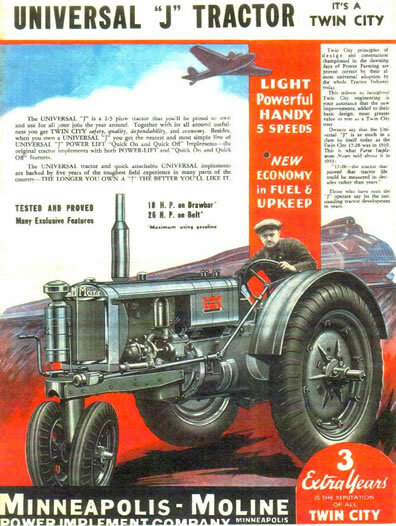 In the early-mid-thirties, MM began to apply their name to TC tractors and look to the future with a new tractor development program. 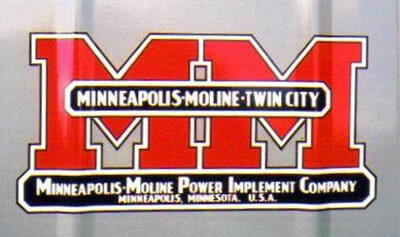 The MM-Twin City name was on the FTA, KTA and MTA. However, these machines were not Minneapolis Moline. MM released 25 copies of their new Model JT in 1934. In an ironic twist of titles, this tractor said MM-Twin City on it, but it was not a Twin City. Now, MM was cautious not to drop the Twin City name too fast as it had served them so well. MM even referred to the JT as a Twin City in their advertising in an effort to benefit from the positive past reputation. The dramatic adoption of pneumatic tires for farm tractors was sweeping the nation. The new 3,700 lb. JT could make good use of rubber tires with five forward gears and a road speed in excess of 12 mph. Chassis part numbers were JT and engine part numbers were JE. Nebraska Test number 233 in April 1935 produced 18 drawbar and 24 belt horse power from the 3 5/8 x 4 3/4 196 cubic inch Waukeshaw F- head at 1,275 rpm. Exhaust valves were in the block and intake valves were in the head. Incoming air/fuel mixture was handled by a Zenith 124 ½ T carburetor and Donaldson oil bath Air cleaner. A Fairbanks-Morse RV- 4 magneto was included. More than 6,000 Model J row crops were produced with tricycle fronts and adjustable rear tread width. Just 469 JTS (standard) and 156 JTO (orchard) were produced in 1936 and 1937, making these two models very desirable with collectors today. The Waukeshaw engine that MM purchased for the model J proved to be unsatisfactory for heavy use. Dealer service bulletin D-33 listed a factory parts package to install a later MM side valve engine in the Model J. 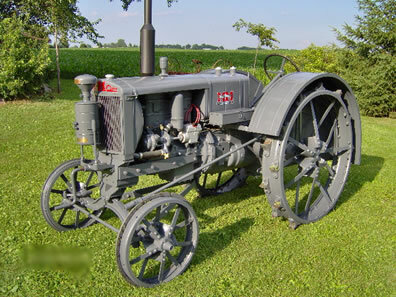 Hundreds of these kits were already in use throughout the `40s making this conversion kit one of the most popular ones ever issued by a tractor manufacturer. 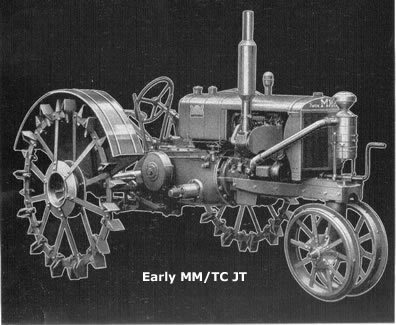 37 Model J row crops were fitted with MM’s new 185 cubic inch side valve engine in 1936. This would be the start of MM’s new model Z and the end of the Twin City era .